and so become advocates of a business that meets expectations. Having a branded App creates a community of customers who contribute and who share. 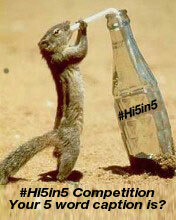 Competitions, #Hashtagging, Polls and Surveys are some of the ways, discussed below, that are available on the App. 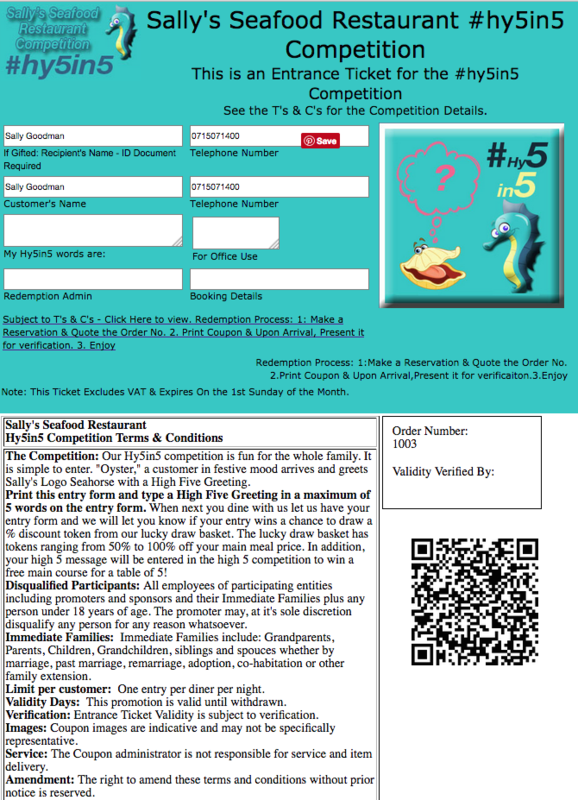 Customer contests are a well established marketing channel. Our unique advantage is that we offer a simple and transparent competition management system that allows you to meet the objectives as discussed in the American Express OPEN Forum article that is offered below. Research the internet and you will be swamped with ideas and reasons for engaging your customers with competitions. For your ease of reference we offer these links as a kick start reading list. Offer a picture and request a caption to the photo. 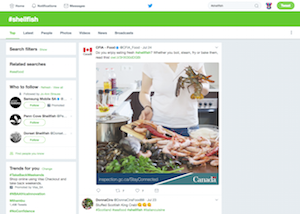 The customers can tweet the caption which can be harvested on the App - The Tweet Archive option is one click away and shows who tweeted what and when. 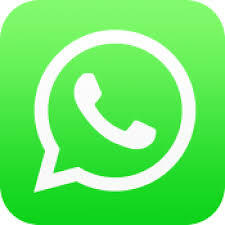 The customers can download an online or printed entry form that can be redeemed online instore or customers can e-mail completed entry forms that the App offers as a download. 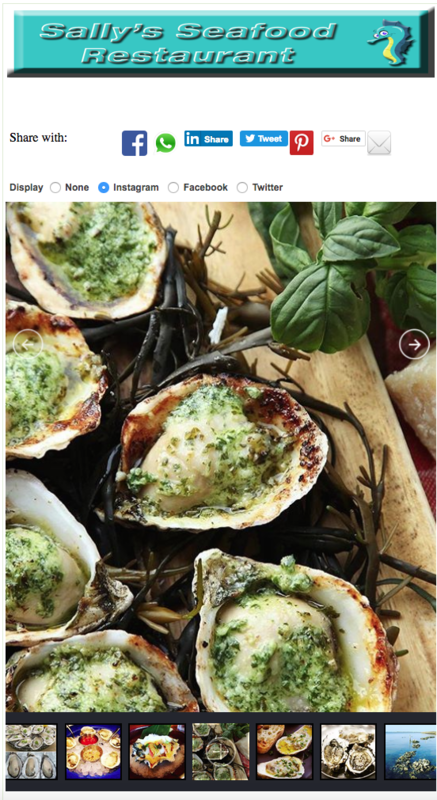 The caption can be tagged with a #hashtag by the customer when adding the caption to their Facebook, Twitter, Pinterest or Google+ social media pages. These #hashtag'ed comments will be harvested by the App for display by making a selection from the one-click #hashtag options. Trending captions can be added to a text poll survey on the App and customers can vote online with instant latest feedback on the poll result. Offer photo options and get customers to vote on the App. 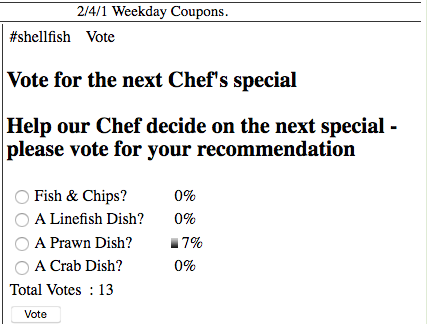 Offer text multiple choice alternatives to a question and get customers to vote on the App. 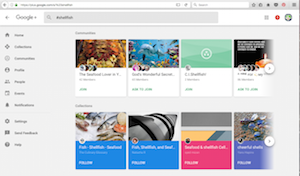 Each of the options available are not unique, but what is unique, is that we have brought together a diverse and powerful a marketing toolbox. Each of the options is just one click away making them simple and easy to use. They will empower your customer base to become your marketing agents and thereby extend your market reach in a way that will astound. We offer Image and text #hashtag harvesting, Polls and Surveys, Reviews, online and offline (printed) competition entries and more. 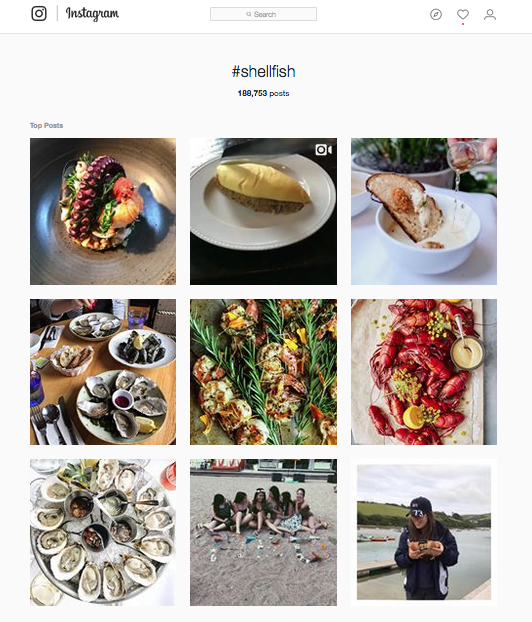 Select an option from the dropdown list and see the images that customers have tagged with the shared #hashtag. 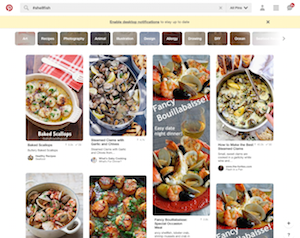 If you select Facebook, Pinterest, Google+ or Twitter you will get a search result page for the #hashatag on your social media page. If you select Twitter Archive you will get a listing of the tweets at the defined Twitter Address. In this case it would be @shellfish. If you select Instagram you will get a gallery of images tagged on Instagram with the shared #hashtag. 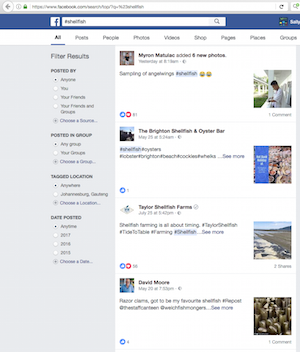 We have an integrated image harvesting enabler that collects and displays images from your own Facebook, Twitter and Instagram pages. Just select your choice of social media option to display the images. Social media sharing with friends on Facebook, Twitter followers, Pinterest followers etc is easy select the one-click option of your choice and submit. To limit spam reviews will require that customers register and log in. Reviews will be available for edit or deletion in the MY ACCOUNT of any customer. The urge to share interesting information, valuable deals, interesting stories, fun pictures is often surpressed as it is not easy to do. 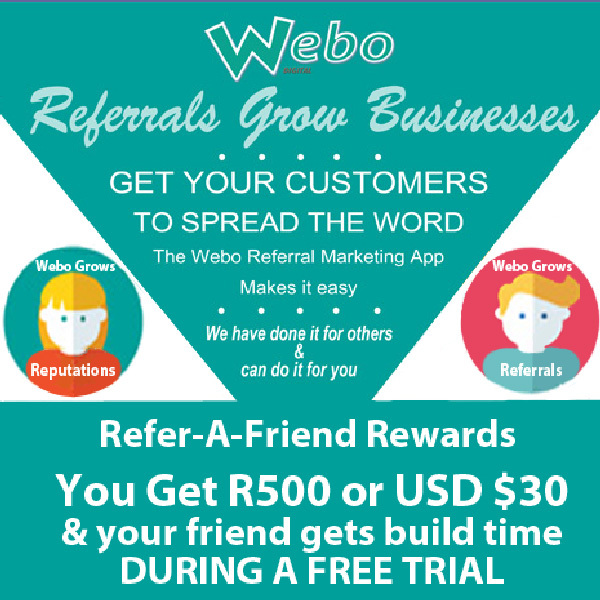 The Webo Vouchers App puts Read More Information, Reviews and Sharing only one click away. 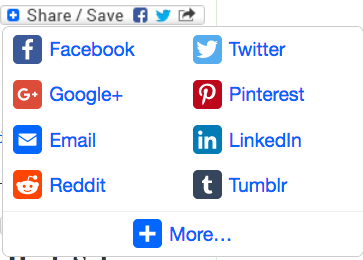 The Read more button links to two webpages, images, video and much more. 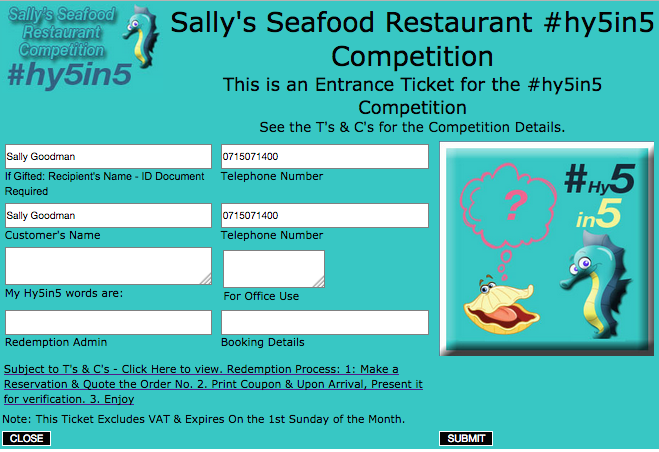 In the same way that the App manages the distribution of a coupon, the coupon can in fact be a competition entry form, on which customers record their details and the answers to competition questions. The Redemption process would manage the submission of competition entries. Chat to us about designing a competition. 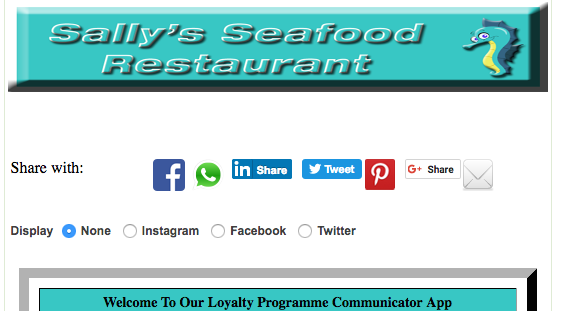 Better still, formulate a loyalty programme that gets your business growing!